The first step in understanding a slip and fall case is knowing how they differ from trip and fall cases. They are similar in many ways, but have some critical differences. In a trip and fall accident, a person is caused to fall and is injured by an object or a physical defect on the property. These cases frequently involve an object that had been in place for a long period of time. Or a permanent defect in the property. In a slip-and-fall case, a person falls on a slippery liquid or object. These cases frequently involve a substance such as water, drinks, food, or other items. In these cases, it can be difficult to show how long the substance has been there based on the nature of the liquid. While “trip and fall” and “slip and fall” cases are different, litigating either type of case requires you to prove that the injury arose from a property defect or negligence. Also, it has to be shown that the company or property owner actually had knowledge of or should have been aware of the issue. In trip and fall cases, it is often relatively easy to show that the property owner knew or should have known of the defect. However, with a liquid that may not have been on the ground for very long, that point can sometimes be quite challenging. 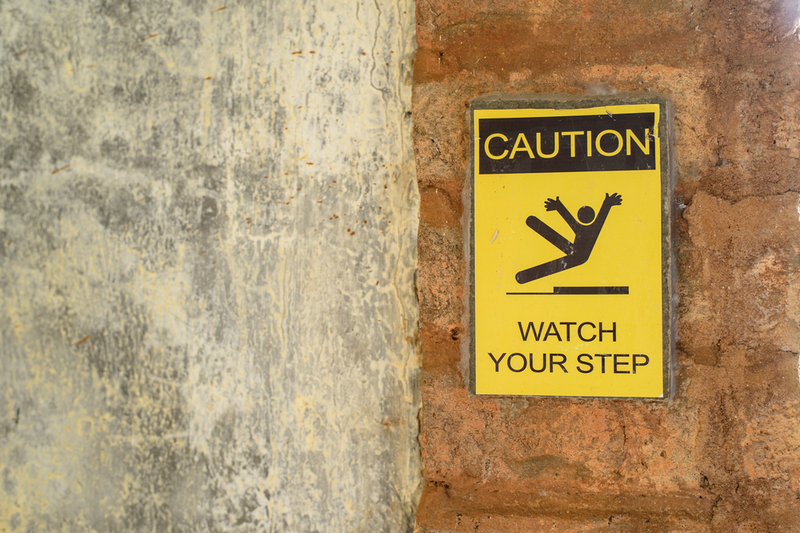 Florida has a specific statute that applies in many slip and fall cases. It requires proof of specific things in order to show that a property owner knew or should have known of a liquid on their property. This requires the assistance of a skilled attorney well versed in Florida accident cases. Can You Sue for Slip and Fall Injuries? If you were injured in a slip and fall situation, you’re likely wondering whether you can sue the party at fault for negligence and recover the cost of your injuries. If you’re going to sue, you’d be wise to hire a skilled Personal Injury attorney with experience in accident cases in the Florida Panhandle. The reason for this is simple: slip and fall litigation falls under a broad legal umbrella covered by personal injury lawsuits. While some personal injury suits originate from traffic accidents or dog attacks, slip and fall lawsuits involve more complex issues in proving liability of the property owners. If you believe you have a strong case, you may be able to recover funds to cover medical bills, lost wages, as well as pain and suffering. If you need legal advice involving a slip and fall case, finding a skilled attorney is essential. At Ward & Barnes, P.A. we have the experience to help you navigate the unique aspects that this type of case can entail. For more information, contact our team of attorneys today.